And brake failure is nearly always preventable. Stop worrying about potential failures and enjoy peace of mind. 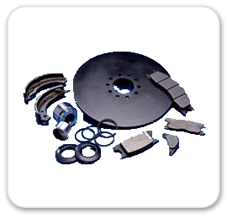 AAA Kavtech Inc. is a brake specialist. If any work is necessary, we will give you a choice of parts. A better grade of materials (pads for example) may be one of the best bargains around. They will last longer and perform better then standard grades. You are in control. Both here at AAA Kavtech Inc. and on the road when the need arises.